The beginning of the 89th Annual Tucson Rodeo Parade. 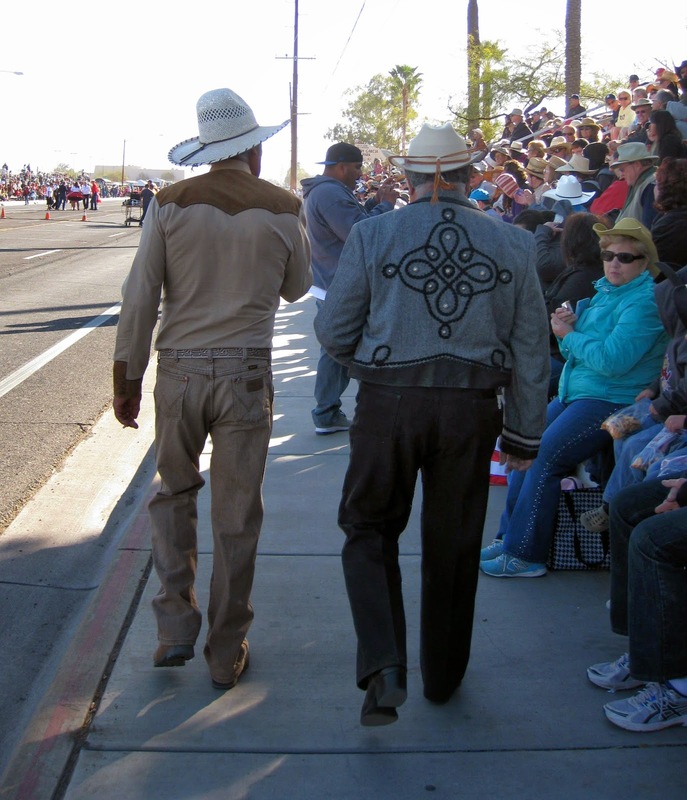 One of the benefits for a kid growing up in Tucson is that you get to miss school for the celebration of the cowboys (La Fiesta de los Vaqueros) in February. 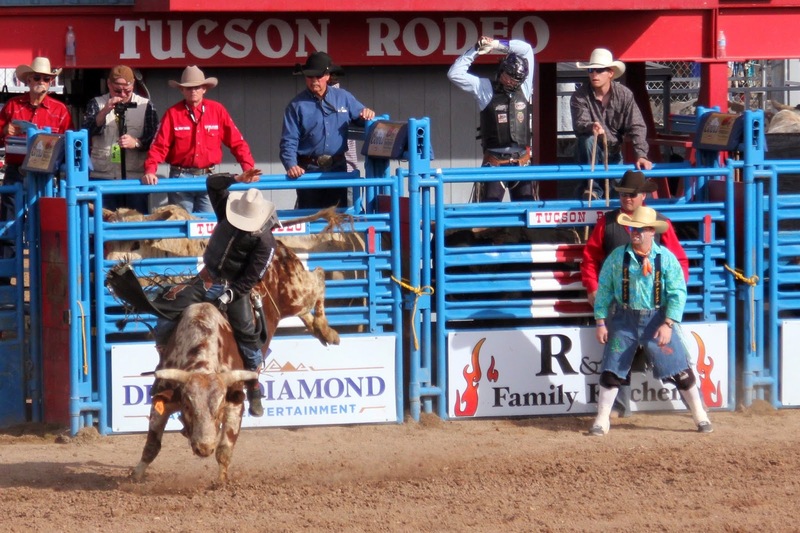 While we had not planned it, we were thrilled that that our visit coincided with this celebration of one of the oldest rodeos (89th annual Tucson Rodeo) in the country. As a kid, I looked forward to the excitement when the entire city celebrated the cowboy. At least in those innocent years in elementary school, and less so later on, the boys eagerly wore western shirts, bolo ties and cowboy boots, and the girls wore their square dance dresses to school during that special week. 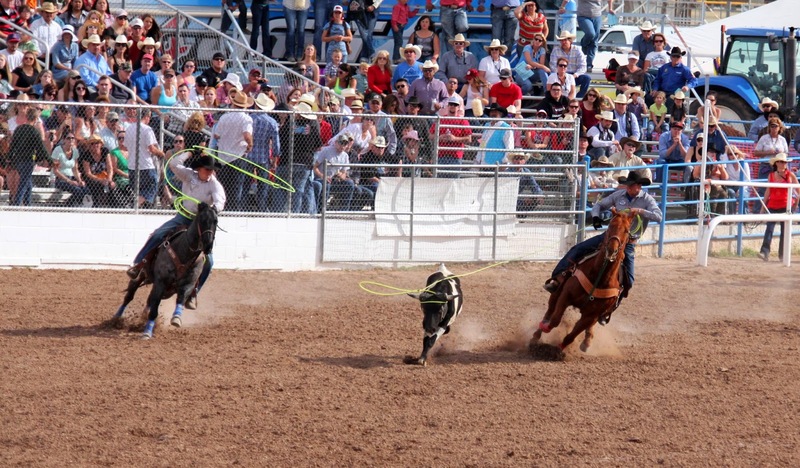 Thursday and Friday were holidays to allow everyone to watch or participate in the rodeo parade, and possibly go to the rodeo through the weekend. At some point in nearly everyone’s school years, you were in the parade, either riding one of the horse-drawn floats or marching in a band or as part of some organization. You took pride in being part of the great event. Many years had passed since I had last seen either the parade or rodeo, but Tracy had never experienced the spectacle of rodeo days. 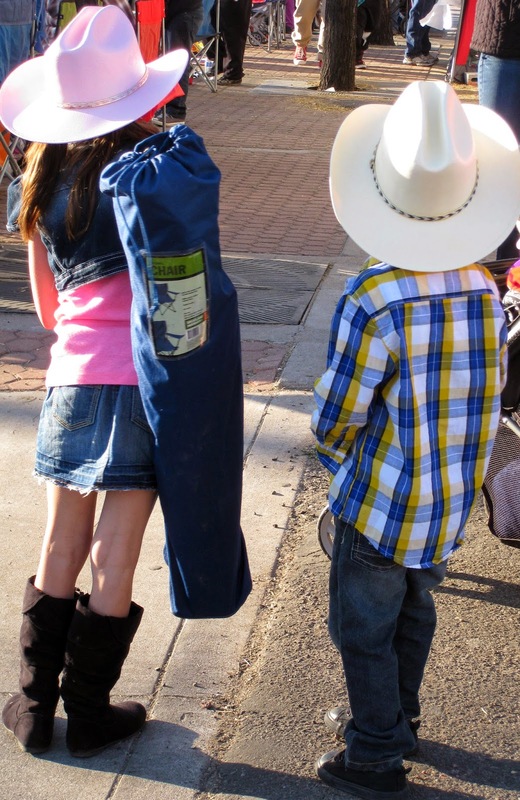 Of course we had to go BOTH the parade and the rodeo. ..... and old cowboys look forward to the big parade. We did not get a huge enthusiastic response from family when we said we actually wanted to go to the parade and the rodeo. They had seen it all before, many times before, and the novelty had long worn off. 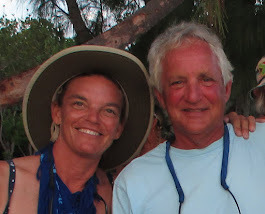 The exception was my dad as he agreed to join us for the parade, only the parade. I saw the parade through the eyes of a ten year old boy and it had changed. Many things had changed over the years. The parade no longer lumbered through the center of old downtown Tucson, through the corridors of the few tall buildings I had imagined comparable to the grandeur of the Macy’s Parade in New York. 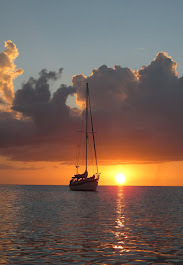 It had been a grand scene. Back then, we would stand or sit on the curb as the colorful floats adorned with the beautiful queens and waving princesses would pass. We were close, very close, and we could almost touch them. The vaqueros, the enchanting senoritas, the cowboys, and the cowgirls, all astride magnificent, powerful beasts, were there. We could see them, we could smell them, and it was real. It was all very exciting and there was nothing else like it. 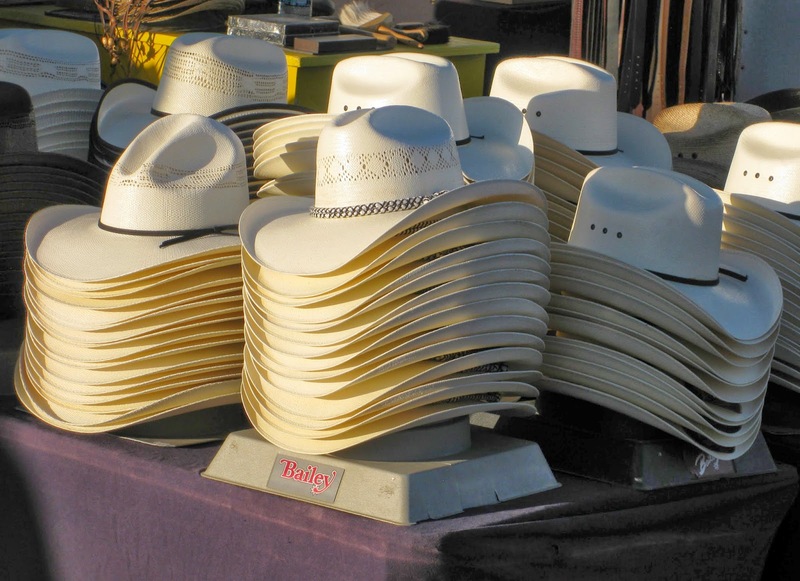 There is never a shortage of cowboy hats for sale at the parade. Today the parade seems tightly controlled, predictable, distant and safe. The thrill had been diminished. It was like a wild river that had been tamed. 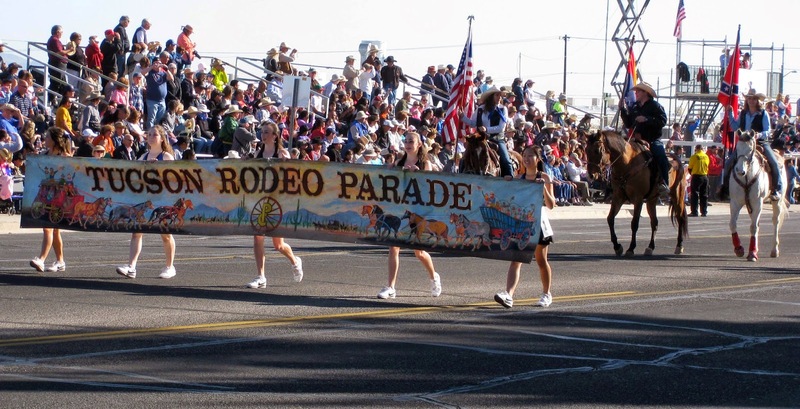 But even tamed, the Tucson parade, as one of the few exclusively horse-drawn parades in the country, remains an exceptional and exciting event that should not be missed. 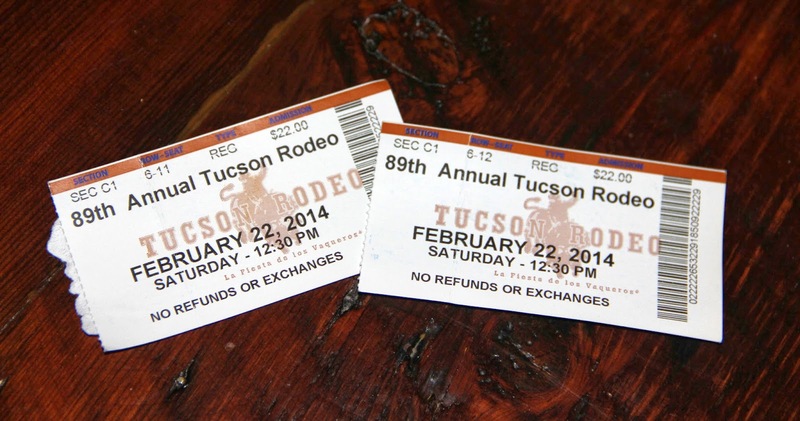 Our tickets to the 89th Annual Tucson Rodeo. 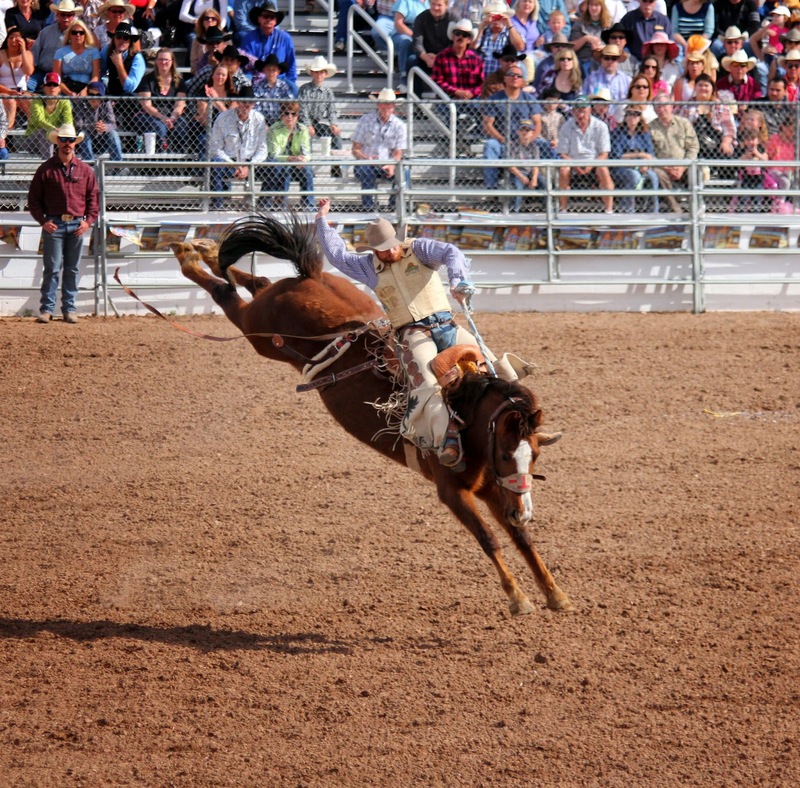 Flying across the arena on a bucking horse. 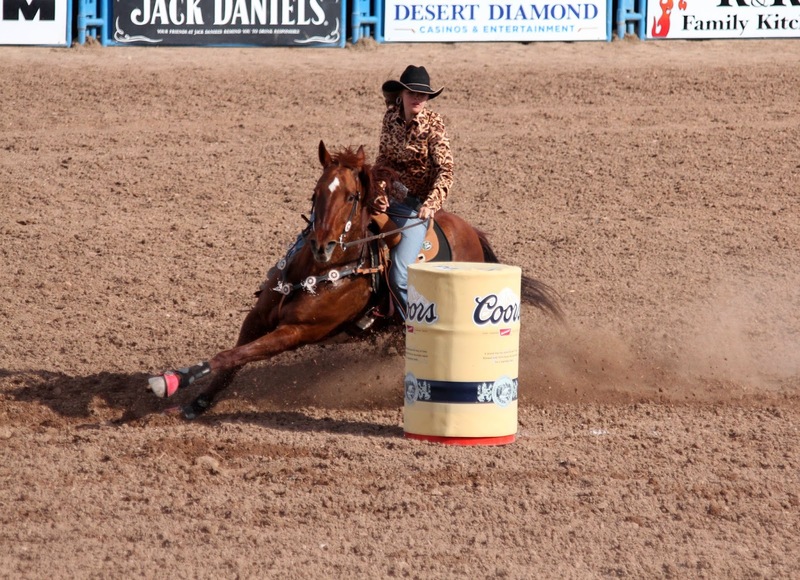 Rounding the last barrel in the women’s barrel race. 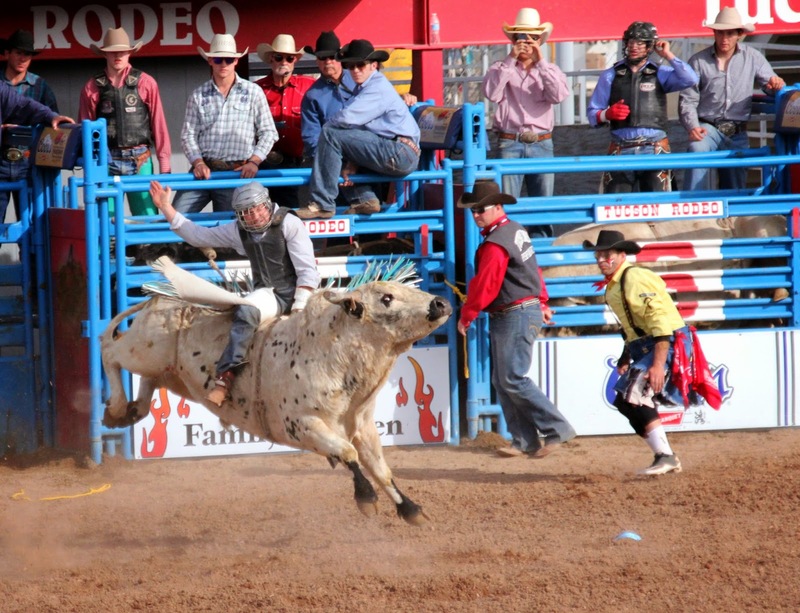 Clowns ready and cowboy deep in concentration on a bucking bull. Who ever said that bulls can’t fly? 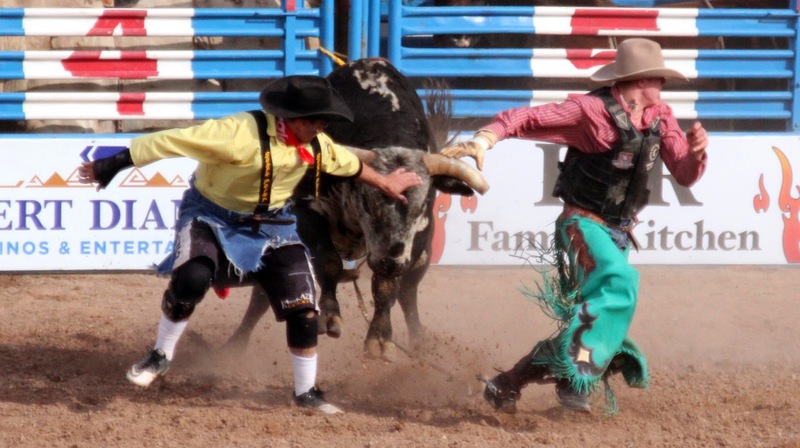 With the help of a clown, escaping being trampled after dismounting from his bull. Clowns dueling with a bull at the end of the competition.